It’s How-To-Tuesday with the dynamic duo: Meghan and Taylor!!! This week Taylor can’t find the obscure book she wants at Brookens. How will she survive? With IShare, of course! See a book that you would like to request for pickup at Brookens Library? This brief tutorial will show viewers how to request items from IShare libraries and have them sent to you. If you’re an international student at UIS, you’ve probably noticed that the excitement of being away from home is not without its drawbacks. There’s a lot to experience and a lot of cultural differences to contend with. Whether you knew it or not, that sentiment extends to the library as well. There’s a lot to experience at Brookens Library and things may be different from what you are used to. At the library, we want to make sure you have access to information, resources, and services that will help you succeed during your time at UIS. We have created a workshop series for all international students that will cover topics specifically chosen to help you navigate the services and resources the library provides to all students on campus. Welcome to the start of the Fall semester. This Fall, Brookens Library has some awesome events planned, including One Book, One UIS activities, library tours and orientations, and one of the campuses new favorite traditions – the Haunted Library. We also offer an array of resources for both your academic research and your personal enjoyment. One Book, One UIS: We are eagerly looking forward to the One Book, One UIS events this year. MARCH, a graphic memoir about the life of civil rights icon John Lewis, has been chosen as the campus community read for the 2015/2016 academic year. Congressman Lewis, co-author Andrew Aydin and Illustrator Nate Powell have agreed to speak at the University of Illinois Springfield in conjunction with the program. Their presentation will be on Monday, October 19 at 7:00 in Sangamon Auditorium. For a list of all the events related to One Book, One UIS please visit: http://onebookoneuis.com/events/. One Book, One UIS Book Club: Join the MARCH Book Club! We have four different dates available where you can meet with other UIS students, faculty and staff to discuss issues and themes from MARCH Book One. Book Club participants will receive a free copy of MARCH – registration is required. Sign up for your preferred session here. Drop-in library tours are offered each semester and we’ve scheduled both on-campus Tours and online Virtual Tours for Fall. The Tours cover where to find books and articles, how to access resources from off-campus, where to get research help, and more! See the Brookens Library calendar for dates and times. Haunted Library: The Haunted Library has become a favorite fall event at UIS. Last year over 500 people were brave enough to enter Brookens for an evening of thrills. Planning is well underway for this years spooking so be sure to save the date: Friday, October 23. Doors or open from 8-10:30 pm. Feature Film Collection: You asked and we delivered! We received feedback from students asking for more popular films to be added to the collection. We have made this request a priority and currently buy new releases each and every week to ensure the collection remains current. We have also expanded our display so you can browse more like you would in a film rental store. We have both DVDs and Blue-ray format. Be sure to check it out. eBooks & eAudio-Books: Now you can get books and audio-books right on your device! Brookens offers our patrons the 3M Cloud Library – an app you can download onto your computer or mobile device to download eBooks and eAudio-Books. All you need is an iCard and a device. Get the app here – be sure to select the University of Illinois Springfield as your YOUR library when downloading. Kindle Fire Checkout: Want to have access to the 3M cloud library but don’t have a device? No problem! We also have free Kindle Fire checkout. Simply go to the front desk during operating library hours and check one out today. Language Learning Tool – Mango Languages: Have you ever wanted to learn another language? Now’s your chance! Brookens subscribes to Mango Languages, a language learning resource that makes learning a new language easier than ever. Simply create an account and start learning for FREE. With this resource there is no expensive software to purchase – just sign up and start learning at your own pace and at your own convenience. I-Share – Get Books/DVDs/Audio Books from other libraries: Sometimes we don’t have the resource you are looking for in our physical library but that doesn’t mean you don’t have access to it. Now you can get books from other Illinois libraries delivered to Brookens for you to pick-up at your convenience, for free! 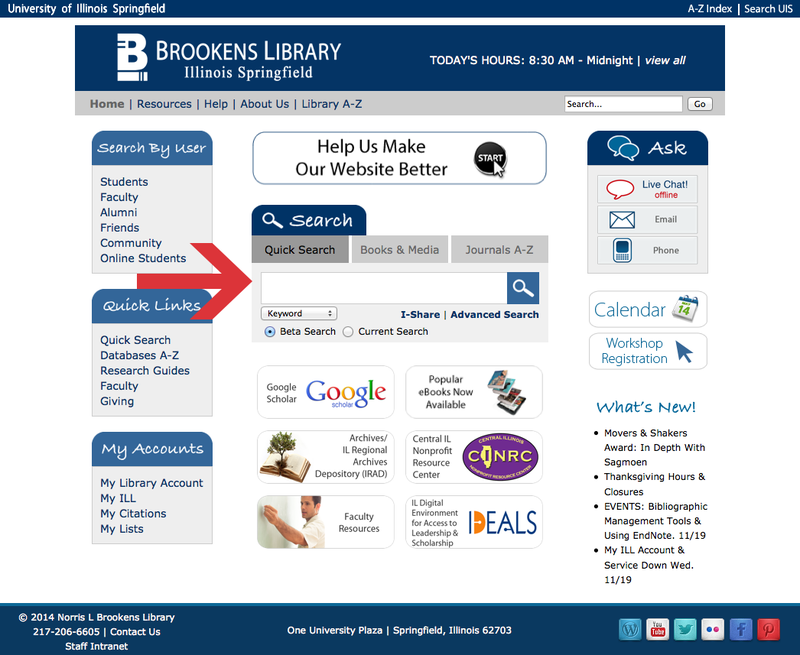 Just create a My Library Account from the Brookens website, and you’re all set. Don’t forget, you can use this free service for your leisure reading as well! Employment: Looking for a job on campus? Consider applying at Brookens Library. We will be hiring 4-5 Student Assistants and one Marketing and Communications Assistant to join our team. If interested, apply online at Career Connect, or visit us at the Job Fair: Thursday, August 27th from 11am-1pm in the PAC Food Emporium. Preference will be given to those who attend the Job Fair. If you are interested in the Marketing and Communications position, please bring your portfolio or a sample of your work to the job fair. YOUR Librarian: Did you know you have access to your very own librarian? It’s true! Whether you are brand new to research or a seasoned pro, our staff is ready and willing to help. Find out who YOUR Librarian is today – librarians are assigned based on the department you are in. THE OUTAGE HAS BEEN RESTORED. ALL SERVICES ARE BACK UP AND RUNNING. OCLC is currently experiencing a system outage that affects WorldCat Local and WorldCat Discovery services. You will not be able to utilize the search functionality of our online resources. The image below is from the library’s website & shows where you will be unable to search during the outage. OCLC is working to resolve this outage as quickly as possible. We will share when the problem has been corrected as soon as we are notified. We apologize for any inconvenience. On Saturday February 15, 2014 ProQuest will make improvements to its internal systems to accommodate a growing number of users and to reduce the need for future downtime. To minimize the impact these enhancements will be installed during an eight hour window of typically low usage from 10:00 UTC through 18:00 UTC. February is Black History Month and we have lots of resources including a wide array of books, audio books, and films you might enjoy! Don’t want to take the time to search for our offerings – no problem! We’ve put together a few book lists that highlight some of what we have in our extensive collection. The first book list is more general, featuring both classical works by African American authors and popular contemporary authors like President Barack Obama and Oprah Winfrey. We hope you enjoy the African American Authors book list. We also have a book list on the more specific topic of Emancipation. 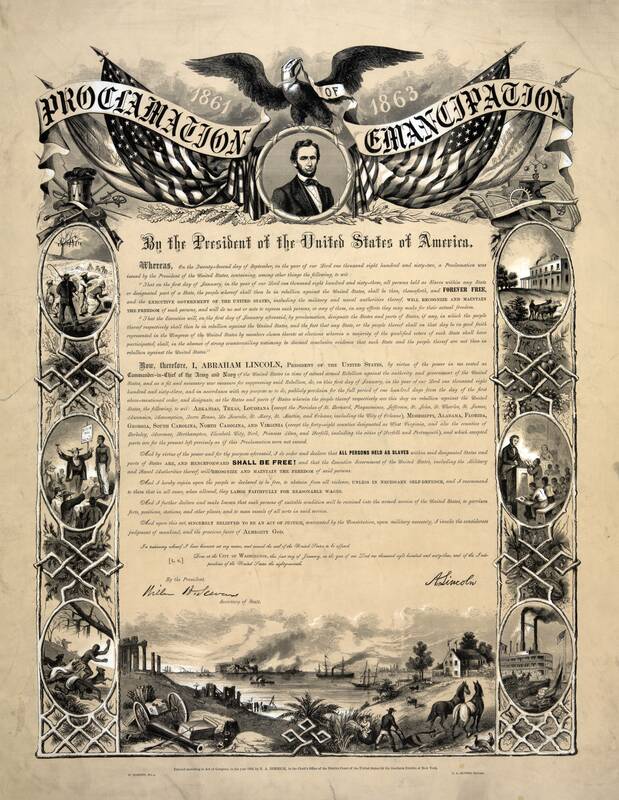 This year The University of Illinois Springfield is hosting a symposium on the subject (Symposium Information) – so we put together this list on Emancipation. You might also enjoy offerings from our collection that are specifically about American American Soldiers or perhaps you would like books about Martin Luther King Jr. – we have a little something for everyone! If there is a subject you would like us to create a book list for – let us know! We are here to serve you!